In 2018, HSV announced itself as the first manufacturer to introduce the Chevrolet Camaro to the Australian and New Zealand markets with full volume compliance through an extensive re-engineering program performed at its new Clayton South, Victoria facility. HSV’s MY19 2SS Camaro now includes a choice of two transmissions: a 6-speed manual or a 10-speed automatic. The 6-speed manual transmission features a short-throw shifter and Active Rev Matching which anticipates down-shifts with throttle blips for smooth, precise shifting. This transmission also features hill-hold and launch control technology. The new 10-speed paddle-shift automatic transmission helps maintain optimum rpm levels with quick, precise shifts and features three exciting technologies: Custom Launch Control, Line-Lock and Lift-Foot Gear Hold. Custom Launch Control modifies engine torque for optimised acceleration off the line. It keeps the rear tyres spinning at the correct speed during launch and allows you to adjust both your launch rpm and wheel slippage through the Driver Information Centre. The Line-Lock feature lets you lock the front wheels to enable the rear wheels to spin (and heat), warming the tyres for maximum grip. This feature is intended for use during closed-course track events only. Lift-Foot Gear Hold, also available with the 10-speed paddle-shift automatic, holds a lower gear in corners, even when you back off the throttle. The MY19 2SS is distinguished by its bold, new front-end appearance dominated by a revised fascia, blacked-out grille and newly shaped LED headlamps that include daytime running lamps. A stylish and functional air extractor is the centrepiece of the 2SS’ dome-shaped bonnet which pulls under-hood air from the engine compartment to assist with cooling and aerodynamics. Helping the 2SS inhale even more air is the Chevrolet “flow-tie”; a hollow version of the iconic Chevrolet bow-tie emblem that allows air to pass through it, thereby helping reduce under-hood temperatures. The addition of a rear camera mirror is an innovative enhancement to the 2SS Camaro offering the driver a less obstructed view of the world behind them. When activated, the mirror provides a wide view without the obstruction of headrests, C-pillars, rear seat passengers or cargo. A camera, tucked neatly under the rear spoiler, facilitates a real-time display with zoom, vertical tilt and brightness adjustments. The adoption of the next generation Chevrolet Infotainment 3 system expands driver and passenger connectivity with the availability of an 8” diagonal high-definition colour touch-screen providing Bluetooth capability for two users as well as the ability to create multiple user profiles. A Head-up Display, projecting key vehicle data onto the windscreen to help the driver stay focused on the road, and Forward Collision Alert, round off an extensive array of exciting enhancements. All these MY19 upgrades add to an already exceptionally well-specified package. Power and performance will continue to be delivered by a 6.2L Generation V LT1 Direct Injection V8 engine generating up to 339kW of power and a lofty 617Nm of torque. Featuring Variable Valve Timing and Active Fuel Management, the LT1 powertrain offers efficiency when you want it and an abundance of power when you need it. The vehicle’s Independent Rear Suspension provides a dynamic connection to the road with stopping power delivered by light-weight and track-tested Brembo front ’ rear performance brakes. And then there’s the bi-modal performance exhaust that lets you open up the valves for a richer, full-bodied exhaust note. Dual zone automatic climate control, a 9-speaker Bose premium audio and 24 colour Interior Spectrum Lighting enhance interior ambience while the Driver Mode Control blends exhilaration with innovation, offering four distinctive drive modes – Tour, Sport, Track and Snow/Ice – that deliver four radically unique driving experiences. Recommended Retail Pricing of HSV’s MY19 Chevrolet Camaro 2SS will start from $86,990 for the 6-speed manual. The 10-speed paddle-shift automatic variant will start from $89,190. 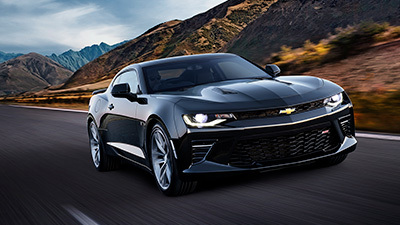 “With the extensive styling upgrades, the availability of two transmission options including the 10-speed paddle-shift auto, plus the addition of innovative new technologies like the rear camera mirror, we’re confident our customers will recognise the tremendous value inherent in the MY19 2SS Camaro”, said HSVs Managing Director, Tim Jackson. Production of the automatic transmission variant of HSV’s MY19 2SS Camaro is due to commence early March with build of the 2SS manual variant to follow in June. 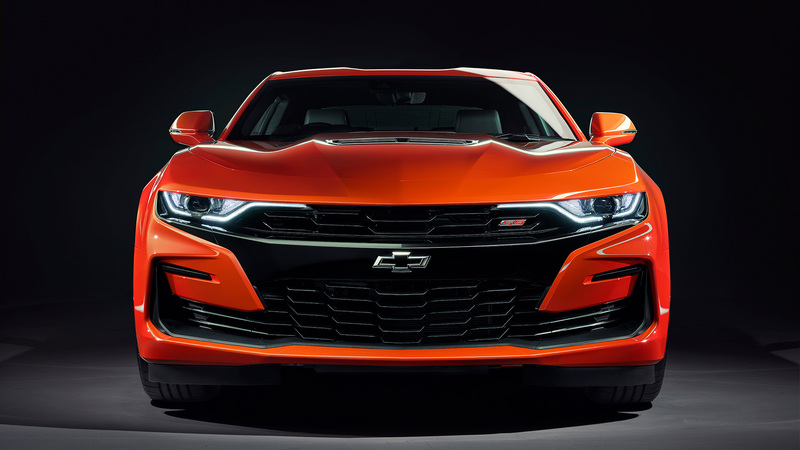 HSV today lifted the covers off its 2019 Chevrolet Camaro line-up, revealing an upgrade to its 2SS model and the introduction to the range of the LT4-powered ZL1 super-car.